Mole crickets are insects that belong to the same family as grasshoppers and crickets and have become problematic lawn pests. Mole crickets are not poisonous and do not bite people. While they technically could bite you if provoked enough, their bite would be completely harmless. Mole crickets are only harmful to your turf. The mole cricket life cycle is fairly simple. The adults lay eggs underground, and when the eggs hatch the immature crickets, called nymphs, feed on grass roots and organic matter which makes up the mole cricket diet, and create tunnels under the surface, causing damage. Once they mature, they mate and the cycle begins again. 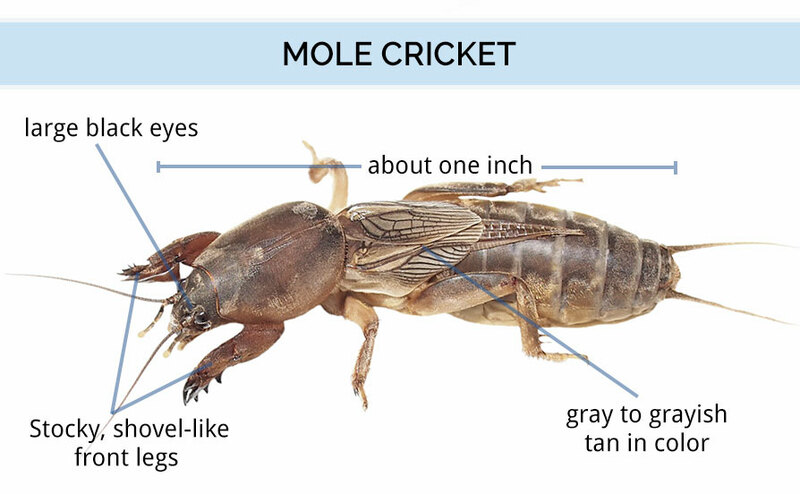 Mole crickets are not true crickets, but share similarities, including the signature chirp noise and back legs that resemble the back legs of a cricket or grasshopper. 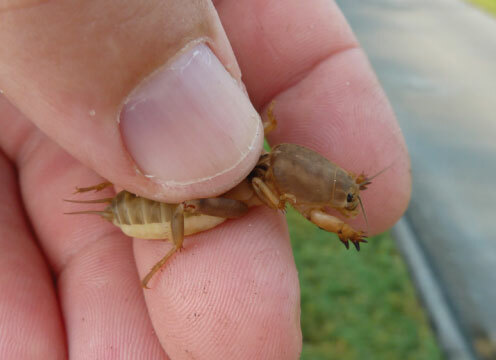 While there are a few different types of mole crickets, they more or less look the same. Nymphs (immature mole crickets) resemble adults but are much smaller. Once you see the mole cricket, you will instantly see the resemblance to the animal from which it gets its name. 208 of 219 people found this article informative and helpful.